Speaking in a Tuesday meeting with Iranian Foreign Minister Mohammad Javad Zarif in Damascus, Assad said the US blacklisting of the IRGC is in line with Washington’s policies to destabilise the region. 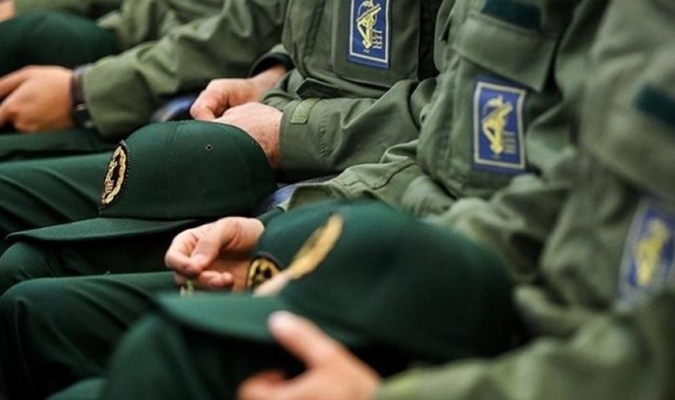 US President Donald Trump announced last week that Washington is designating Iran’s Islamic Revolution Guards Corps a foreign “terrorist organisation”. It was the first time Washington formally branded another country’s military a “terrorist group”. In the Tuesday comments, President Assad also expressed condolences to the Iranian people and the families of the victims of the recent floods in Iran. For his part, FM Zarif reiterated his country’s support for Syria. He said the US recognition of Israeli sovereignty over the occupied Syrian Golan Heights shows the failure of the US policies in the region and the weakness of the Trump administration. He further mentioned that this decision is in line with its decisions on relocation of the occupying regime capital to Jerusalem al-Quds and the IRGC labeling. Meanwhile, the two sides exchanged opinions on regional developments, with President al-Assad asserting that adhering to national principles and positions and making the people’s interests a priority are enough to protect any country, preserve its unity, and confront any foreign conspiracies. Both sides also exchanged views on the upcoming round of Astana talks on Syria and underlined the importance of continuing consultations between Tehran and Damascus. “We had a very good discussion with President Bashar al-Assad. We discussed both regional issues as well as how we will continue with the discussions in the Astana process and the bilateral cooperation between Iran and Syria. We have always been on the side of the Syrian people and we will continue to be working with the Syrian government and people in order to improve the economic situation both here and in Iran,” the Iranian top diplomat told reporters. Zarif also said the recent US decision shows Washington’s policies are based on serving Israel’s interests. Before this visit, the Iranian foreign minister also held talks with his Syrian counterpart Walid Muallem. In the meeting, Zarif expressed grave concern over the situation in Idlib province and underlined the necessity of having all sides committing to all agreements particularly disarming terrorists and expelling them from Idlib. He once again called for political process and a peaceful solution to Syria’s crisis. “I also had a very good discussion with my colleague minister Walid Muallem and we discussed with him how we could continue the political process, what should happen in the constitutional committee within the Astana process,” underlined Zarif. The two sides also highlighted that the West, particularly the United States, must resort to diplomacy instead of waging war and employing economic terrorism. The top Iranian official also met with Syrian Prime Minister Imad Khamis, and decisions were made to increase economic cooperation in both public and private sectors. They reviewed the already signed agreements and overcoming difficulties for their implementation. Zarif arrived in the Syrian capital Damascus on Tuesday, and left the country for Turkey later in the day.